Ladies Emporio Armani watch with a sleek design in gold PVD stainless steel. 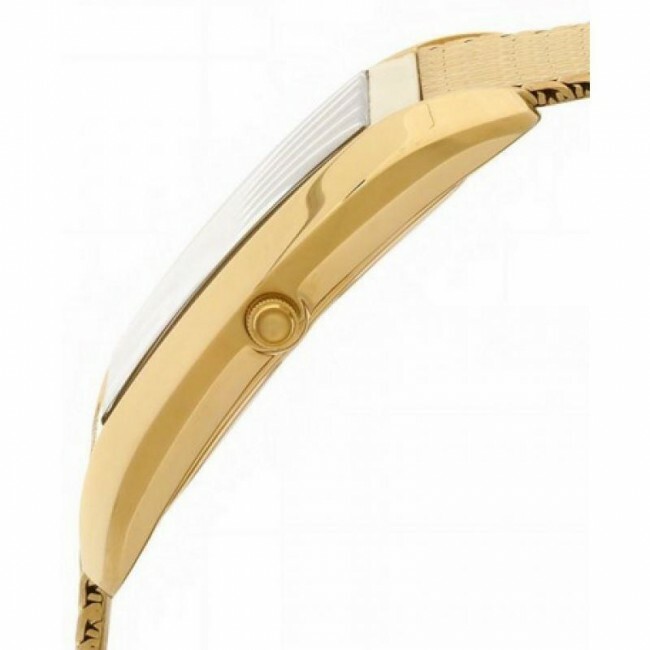 The elegant dial features gold Roman numeral markers and gold hands. It fastens with a gold PVD stainless steel mesh strap. 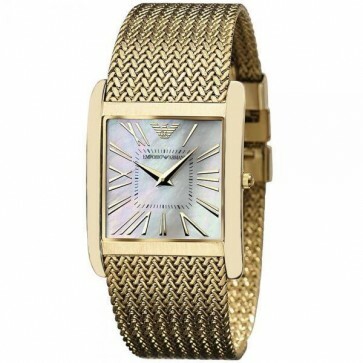 Ladies Emporio Armani watch with a sleek design in gold PVD stainless steel. 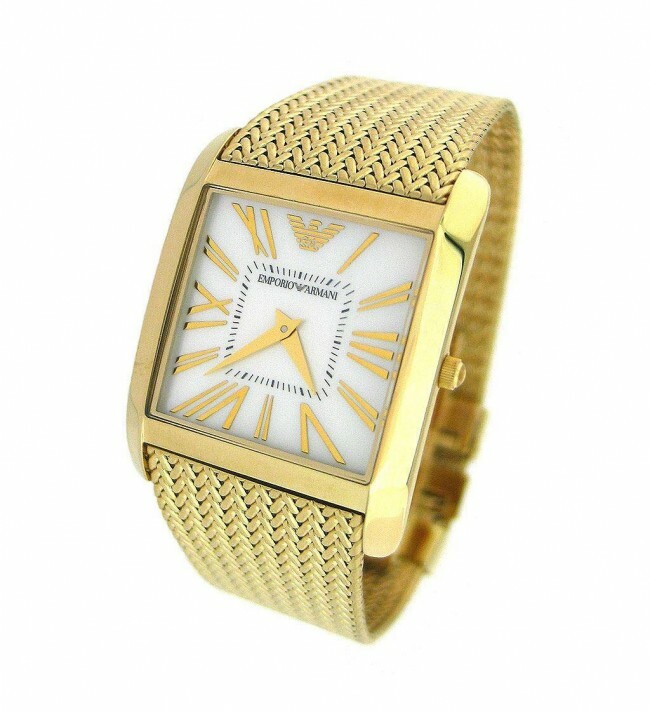 The elegant dial features gold Roman numeral markers and gold hands. 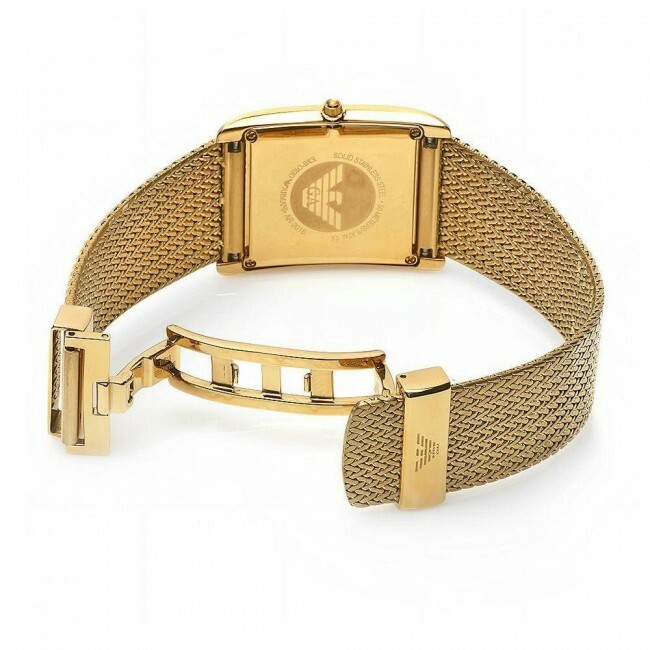 It fastens with a gold PVD stainless steel mesh strap.